Every institution (or school) uses a specific URL to access Canvas. Institutions follow a URL structure of [your institution name].instructure.com or canvas. [your institution name].edu. Your institution may access Canvas through a direct URL, or you may be redirected to Canvas through your institution's authentication system. A Canvas URL is also required to access Canvas mobile apps. 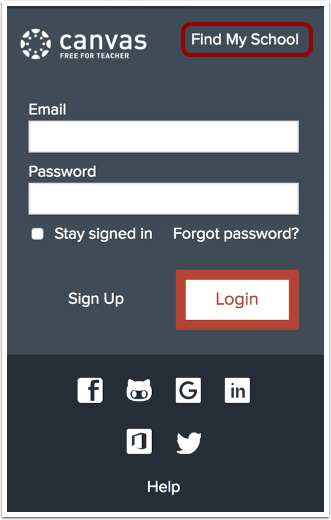 When using mobile apps, you may be able to search for your institution or school district directly in the app login page. However, if your institution or school district cannot be found by name, you will need to manually enter your Canvas URL. Note: The URL for Canvas Network is learn.canvas.net. The URL for Free-For-Teachers (FFT) accounts is canvas.instructure.com. Some institutions will use a direct link to their Canvas account, which makes the Canvas URL easy to find. Hover over the Canvas link and view the Canvas URL, or click the link to be taken directly to the page. You can also view the Canvas URL at the top of the Canvas login page. 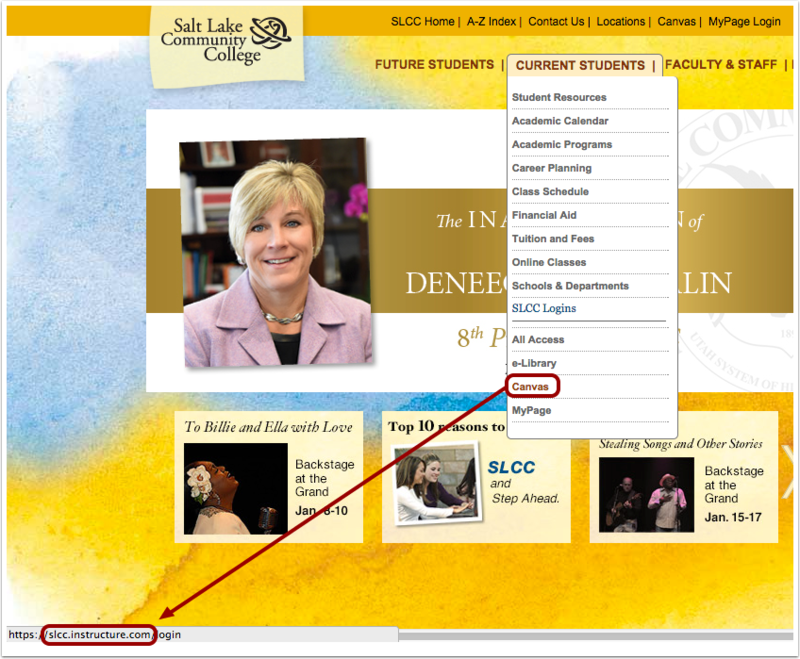 Some institutions may choose to have another domain redirect to Canvas, especially if the institution has an existing portal for student courses. You may have to sign into your institution's internal authentication system before accessing Canvas. 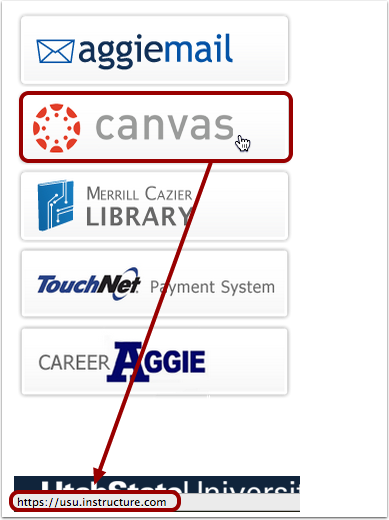 As an example, students at Utah State University can access Canvas after signing in to the university's single sign-on landing page. Hover over the Canvas button and view the Canvas URL, or click the button to be taken directly to the page. You can also view the Canvas URL at the top of the Canvas user dashboard. You can also visit instructure.canvas.com and click the Find My School link to search for your institution. 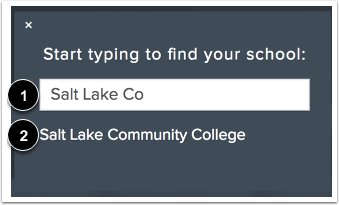 Type the name of your institution in the search field . 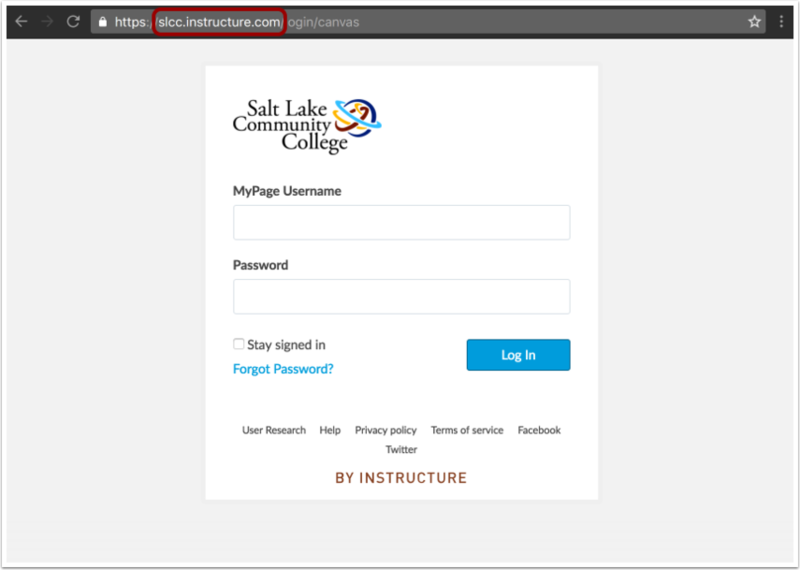 Click the institution name to visit the Canvas login page . The Canvas URL displays at the top of the Canvas login page. These screenshots are acknowledged by their respective universities for use in this lesson. Next Topic:What are the basic computer specifications for Canvas? Table of Contents > General Information > Where do I find my institution's URL to access Canvas?